were you able to check that code? Went to order my kit and it says the "Champ15" code is invalid. has it been updated? thanks. look forward to trying them out. Sebring and Charlotte, maybe Daytona. running a Miata. We can definitely do an external antenna. Would i be happier with the more expensive system?And is so, why? SRC Racing Radios Digital Starter 5watt Package. Anyone know the size of the area where the number would go? I need to cut my new numbers tonight. Thanks! Opinions - Everybody has one, I want yours. ahh. i was thinking it was a 350. ill have to go back and look at that. thanks. i just found this from the first of the year. seems like a few didnt think they were so good for power to weight. i drove this one a bit i have to say its quite a bit quicker than my 1.6 miata. the z3 i have has the 2.3. So, i just picked up a 1999 Z3, 2.3 stoopid cheap. like, this is a ligit $500 car. runs and drives great, just tons of cosmetic issues. perfect champcar candidate, right?? its a 350 car per the book, but i don't think i have ever seen one at an event. is there a reason why? they seem like a great car, rear wheel drive, 170HP, 2900 lbs-ish. 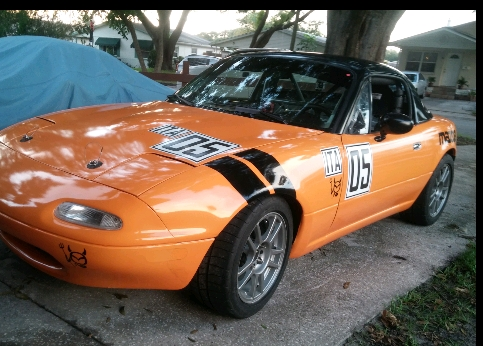 like a spunkier Miata. id like to hear what you guys think, know, dont know about hese cars. ive been looking but not finding a whole lot. thanks! !